Where Do Rheumatology Nurses Work? What Is a Rheumatology Nurse? A big part of the rheumatology nurse's job is to help patients with rheumatic diseases ease their pain and manage their symptoms. Therefore, RNs who are sympathetic, patient, and exceptional communicators will do well in the role. An excellent knowledge of the joints and muscles of the body is also required. Additionally, rheumatology nurses must effectively educate their patients on ways to manage discomfort and alleviate painful symptoms via a medication schedule and/or healthy living. What Are the Education Requirements for a Rheumatology Nurse? To become a rheumatology nurse, the first step is to attend an accredited university or college and graduate with a Bachelor's of Science in Nursing (BSN) degree. To start working as a nurse, it is required to pass the National Council Licensure Examination (NCLEX-RN). After passing the licensure examination, some experience may be required in an acute care setting in order for rheumatology nurses to find work in clinics, though some will provide training. On the job training can last from weeks to months depending on the clinic and the structure of the organizations' orientation. To become a rheumatology nurse in a hospital setting, the nurse will likely have a broader patient population and must have experience in the field, along with strong assessment skills, IV skills, a Basic Life Support (BLS) certification and in some cases Advanced Cardiovascular Life Support (ACLS) certification. Rheumatology nurses can be found in specialty clinics or in physician's offices. 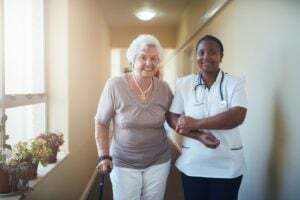 Rheumatology nurses may also be found in hospital settings, but may have a larger scope of patients they take care of and include a patient population broader than solely patients with rheumatic diseases. A rheumatology nurse treats and manages symptoms for patients with rheumatic diseases. Many patients with chronic rheumatic conditions require long term management and treatment of symptoms, including pain. Rheumatology nurses work closely with physicians and teams of healthcare professionals to ensure adequate pain and symptom management is achieved. Helping patients with rheumatic diseases live a healthy life is at the forefront of this nurse's role. What Are the Roles and Duties of a Rheumatology Nurse? As with most nursing roles, salary is dependent on setting. Hospitals tend to have higher salaries than clinics and physicians' offices. Advanced experience and certification will result in a higher salary. The average salary per year is $66,640 with a range of $52,000 to $96,000. This salary is consistent with national averages for RNs in the United States. It is estimated that in the year 2025 there will be half of the rheumatology nurses available than is needed to meet the demand. In short, there are excellent job prospects for nurses headed down the path of rheumatology nursing.